If you overlook the fact that this violates the Federal Fair Housing Act1, it’s kinda funny at first. 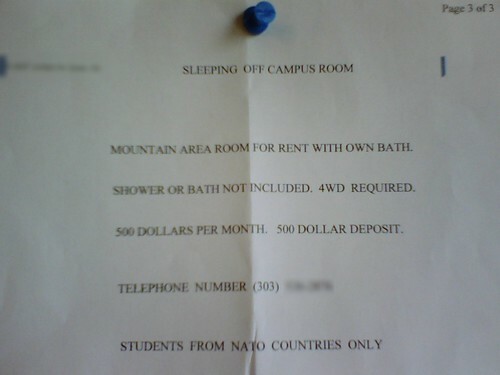 After a bit more thought, it becomes less funny, especially when you consider the fact that many of the International Students at Mines are from the Middle East, none of whom are part of NATO. You can examine the advert yourself down at Higher Grounds Cafe.